Northwest held their annual Ringette School for Tween and under, and a conditioning camp for Tween and over. 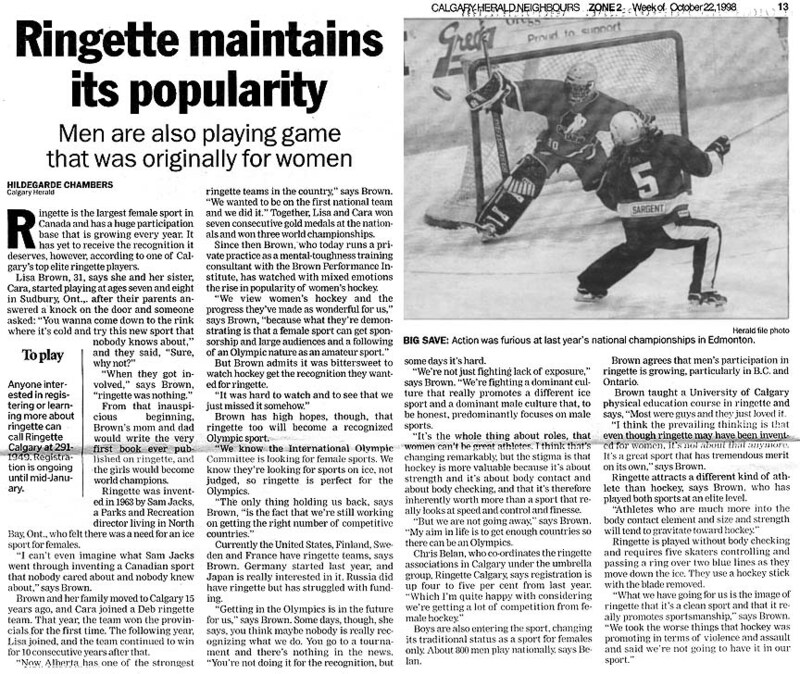 Ringette Alberta introduced the rule (for provincials) which would see the head coach of a team suspended for their next game should their team be assessed more than 30 penalty minutes in one game. Abbey Hoes was the recipient of the Ringette Alberta Player of the Year award. 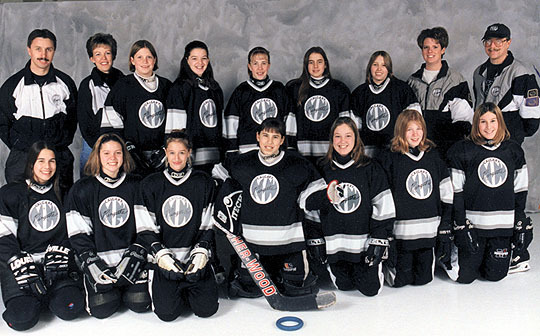 The Canadian Ringette Championships were held in Halifax, NS. 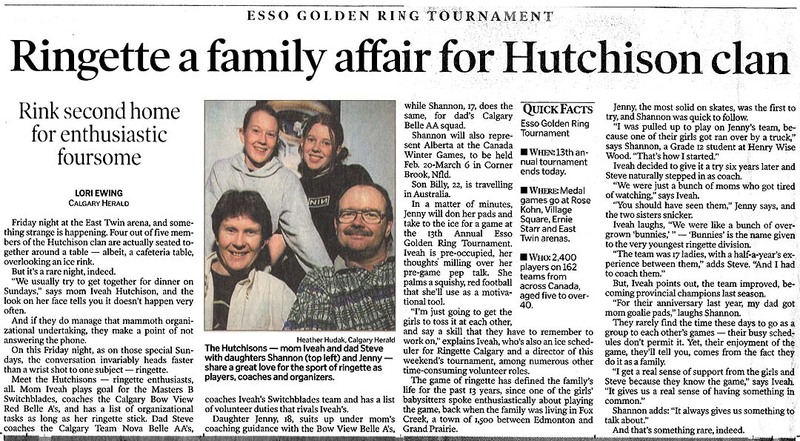 The 13th annual Esso Golden Ring was held Jan. 22-24, 1999 and hosted Bunny through Intermediate divisions. The tournament was sponsored for the 13th year by Imperial Oil Limited. Teams from Alberta, British Columbia, Saskatchewan and Manitoba took part in the three-day competition. 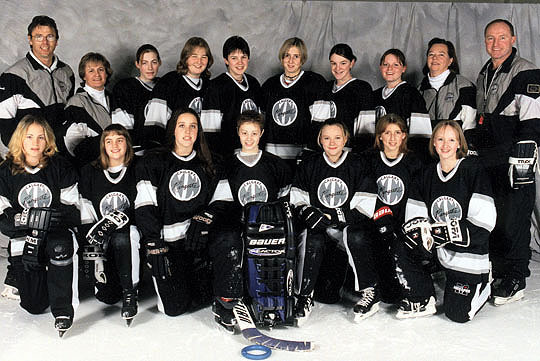 In addition to the 69 Calgary teams there were 74 teams from other parts of Alberta, and 21 out of province teams - 8 from British Columbia, 12 from Saskatchewan and 1 from Ontario. A total of 177 applications were received from teams with hopes of securing a spot in the tournament - 141 of those were presented on the opening day for applications. 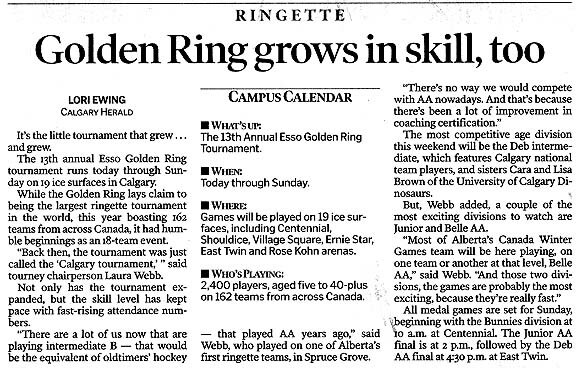 Regretfully, we were unable to accommodate 16 of those teams. 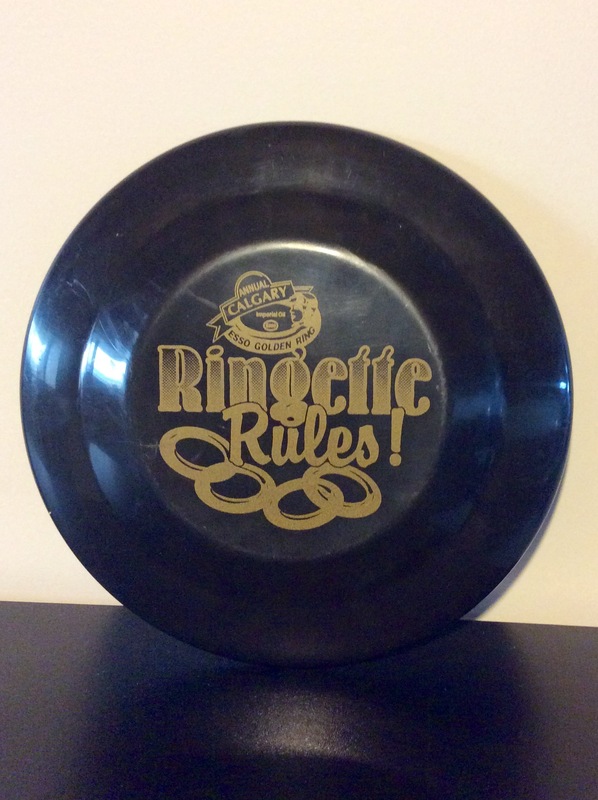 The "take home" souvenir which the 1999 Esso Golden Ring committee provided to all players was a frisbee, imprinted with the Esso Golden Ring logo, and the slogan "Ringette Rules". Erik Laerz, along with Robyn Schweitzer were responsible for the task of scheduling officials for the 319 tournament games. The Esso Golden Ring Hospitality Night was held on Friday, January 22. The informal function, provided free of charge to all participants was held at the Village Square Leisure Centre. Activities included crafts, kareoke, face painting, games, and lots of food. For the second first time, a referee social was held on Thursday, January 22. Officials picked up their packages and went over tournament rules and expectations, as well as socializing to get to know each other. 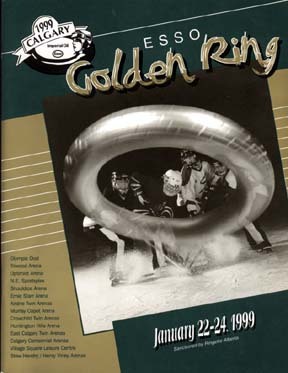 The Ringette Calgary Home Page included Esso Golden Ring information, including the schedules.